In the digital world, a key learning factor for middle school students is developing a proper digital citizenship mindset. Although learning about the intricacies of digital citizenship has no age limit, it’s important for children to learn good digital behavior early on as it will give them the proper tools they need to stay out of trouble later on in life. Because generation Z onwards are considered to be “digital natives”, that is, people who were born with technology, creating a digital citizenship lesson plan for middle school students is less about teaching them how to use devices and more about how to behave in such a way that they can bring their real-life good morals and conduct into cyberspace. During their middle school years, children are starting to develop a sense of autonomy, a yearning to control their own lives and be independent. From a social perspective, they’ve started expanding their circles, interests, and activities both online and in the real world. In the 21st century, children learn how to be tech-savvy very early on because of the ease of access they have for digital devices. With this in mind, most of the middle schoolers you’ll be teaching are probably already on the internet with active social media lives. It is for this reason that teaching digital citizenship at this age becomes critical to empowering our youth to become healthy, active, and productive members of the digital landscape. 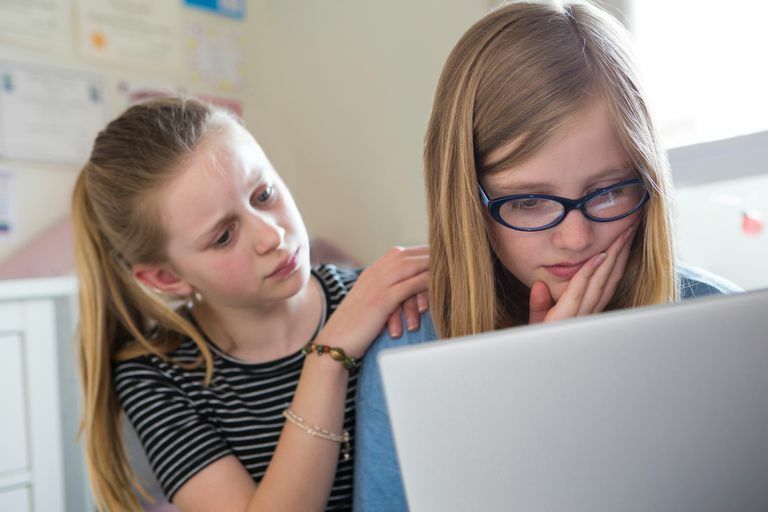 Digital Citizenship becomes a critical tool for them to do this, as it teaches them how to be independent, safe from harm, and courteous to one another, despite the relative anonymity they have on the internet. 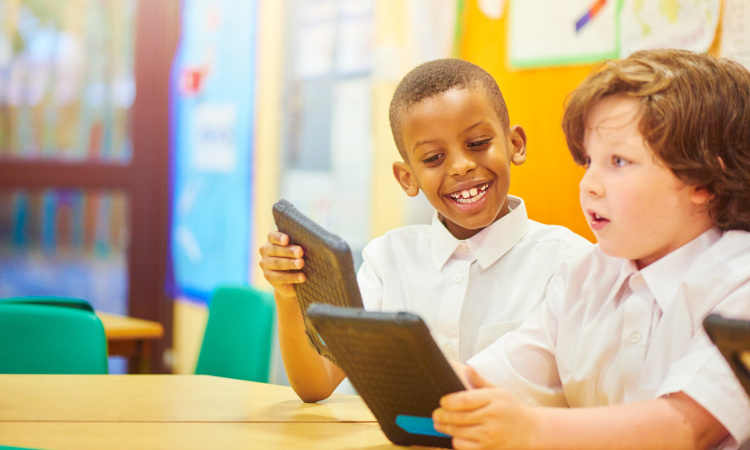 One of the best ways you can teach digital citizenship is by providing your students with practice scenarios and guide questions that not only test what they know about proper online behavior, but also pushes the boundaries of their digital ethics and morals, as well as their critical thinking. Here are some examples that you can use. There’s a hot new social media site that all your friends have started joining. A key feature of this new site is that it only displays the username of each person. The trick is to create a user profile that is based on your name, but vague enough that strangers will not know who you are. What name would you use and why? Lesson: Being Mindful About Who You Add As Contacts On Social Media. As A General Rule, Only Add People You Know In Real Life. You receive a friend request on your most frequently used social media site. It’s from a profile featuring a person of the same age as you. You check their profile and see that you have fairly similar interests, and the profile photo looks legitimate. Should you accept their request? Why did you make your decision? Lesson: Some Sites Are Restricted To Adults Only. There’s a Reason For This, And One Should Respect The Age Restrictions That Websites Have On People Viewing/Joining Their Site. A friend of yours recently joined a dating site that is for adults only. On the homepage, it clearly states that all users MUST be 18 years old and above. Your friend lied about his age so that he could join the site. Your friend then starts telling you that they received an invite to go on a date with one of the other users of the site. What advice would you give to your friend? Do you tell an adult? Lesson: Privacy Settings on Social Media Are There To Protect You From Scammers, And Other People Who May Want To Harm You. One of your classmates is making jokes about your last holiday. You haven’t ever spoken to them about it and you think they might have been looking at your social media profile and pictures. You are not friends with them but your privacy settings are set at Friends of Friends. A schoolmate of yours, who you’re not particularly close with, starts asking you about your recent holiday. This makes you uncomfortable as you rarely speak to this person, and when you ask them how they knew about your holiday, your schoolmate says they saw it on your social media. However, you are not friends with this person on social media, and your privacy settings are set to Friends of Friends. What does the privacy setting Friends of Friends mean? Should you upgrade your privacy settings? Lesson: The Photos You Post On Social Media Can Be Seen By A Large Number of People, Some of Them Might Not Be As Kind As You. Only Post Appropriate Photos, Videos, and Texts. Your friend posted photos of herself in very revealing clothing and in very provocative poses. She then tells you that she’s received numerous compliments from her “online friends”, but she has also received some hateful comments. What should you do? What advice should give to your friend? Lesson: Online Behavior That Makes You Uncomfortable or Disturbed Can Be Reported to the Authorities. An online friend of yours, who is older and of the opposite gender, starts chatting with you through instant messenger. You’ve spoken to each other at length online, and so far this person has been friendly, and in fact, shares many similar interests as you. However, this time, this person is starting to ask you inappropriate questions about what you’re wearing at the moment, if you’ve ever kissed anyone, and whether you’re alone at home. The person then starts pressuring you to send you “daring” photos of yourself. This makes you very uncomfortable. Lesson: Talk To your Parents, Teachers, or Other Authority Figures About Things You Experience Online. The More Open You Are, the More People Can Help You If You’re in Trouble. Someone outside of your real life and social media circle of friends posted a funny photo of you and started making fun of you. Soon enough, other people you don’t know started joining in. While some of the comments really are funny, some of them are hateful, hurtful, and very rude. You see that some of your friends posted on the photo as well, but you’re scared to call them out as they might get angry at you for being too sensitive. Who should you talk to and why? Lesson: Hateful Comments Online Can Have Real Consequences On A Person. Show that you’re A Responsible Digital Citizen by Not Joining In On Hateful or Hurtful Threads. You and your friends are invited to join a group chat on an instant messaging app. The group shares funny jokes, videos, and memes. At first it was fun, but then you notice that the other people have started posting hateful comments about other people, as well as sharing racist, derogatory, and pornographic images and videos. Lesson: There’s No Difference Between Real Life and Online Bullying, And You Shouldn’t Participate in Either of Them. Your classmates are all huddled together over a phone. One of them calls you over to see a “funny photo” of one of your classmates. As you get closer, you see that they’re making fun of a person from your school. The group is posting comments that are intended to be jokes, but are in fact very mean, hurtful, and damaging to a person’s psyche. In fact, one of them even encourages the person to commit suicide. Lesson: Never Tolerate Online Bullying. If You Encounter a Thread Online That You Feel Is Unkind or is Bullying Someone, Report Immediately to Authorities. There’s a meme going around your school that features a funny image of one of your schoolmates. This particular schoolmate of yours has cerebral palsy, but instead of being kind and understanding, other people have started making fun of his condition via the meme. A schoolmate then asks you to like their post so that it can go viral. What should you do? Ignore it, post a comment, or report it? Lesson: Some People Want You To Be Racist and Bigoted Like Them, So They Make Websites That Propagate Their Negative and Destructive Thinking. A Proper Digital Citizen Avoids Websites Like That And Will Not Hesitate to Report it to Authorities. One, boring, weekday night, you’re browsing the internet and you stumble upon a “news” website that contains some inaccurate articles. As you continue reading, you realize that it’s a neo-nazi website, and that many of the commentors in the forum are members of your local community. Lesson: “Stalking” People Online is Creepy. If You Did That in Real Life, It Would Make You And the Person You’re Stalking Feel Uncomfortable, So Don’t Do it Online. You have a crush on a person in your school. You search for their name on social media apps and find their profiles have no privacy settings. You start saving their photos on your device and start following their social media feed. You haven’t sent them a friend request because you’re afraid they might reject you. A friend of yours sees the photos you’ve saved and tell you that it’s not right. Lesson: Illegally Downloading Movies, Tv Shows, Music, Games Etc. Online is Piracy. Piracy is Stealing. Stealing is Against the Law. Your favorite artist dropped a surprise album the other day on iTunes. However, the artist made sure that people will buy the whole album and not individual songs because it’s “part of the artistic experience”. It’s priced at a premium level, but your friend tells you about a website where people can download music for free. Do you search for and download the music? A friend of yours is hanging out with you in your room. You decide to spend the afternoon watching TV shows and listening to music. Your friend notices that you have a fairly extensive collection of music and asks if they can copy your whole music library. Do you give it to him?